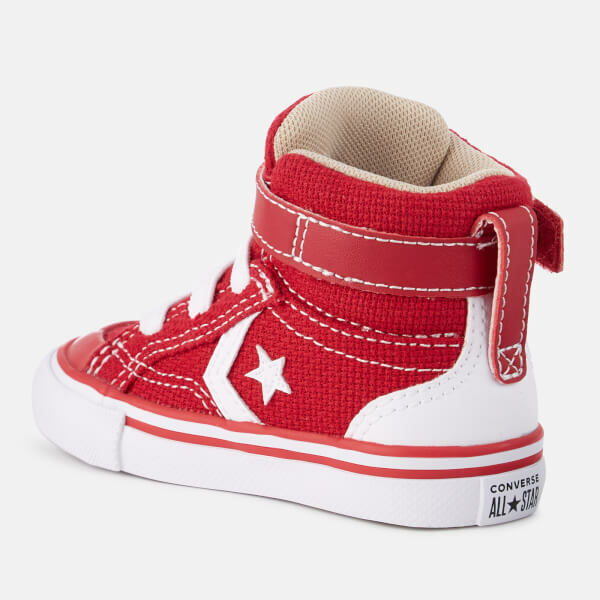 Converse Pro Blaze Strap hi tops for toddlers. 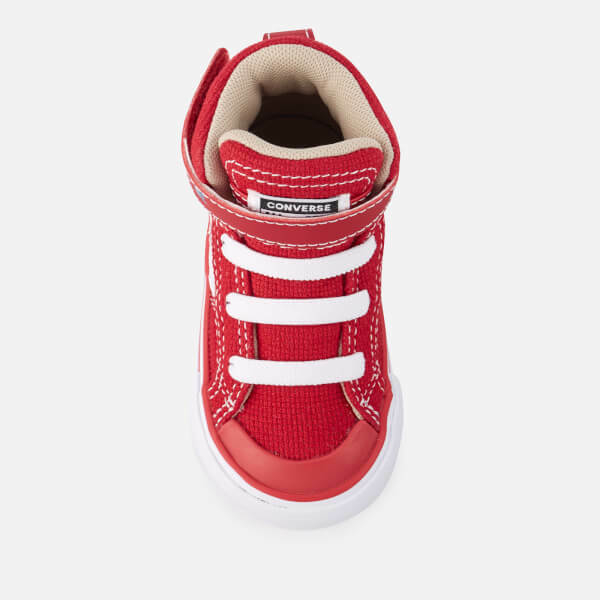 Made from a classic canvas upper with a stitched upper, the hi-top trainers combine decorative elasticated laces and a Velcro® strap around the ankle, which is perfect for securing to smaller feet. 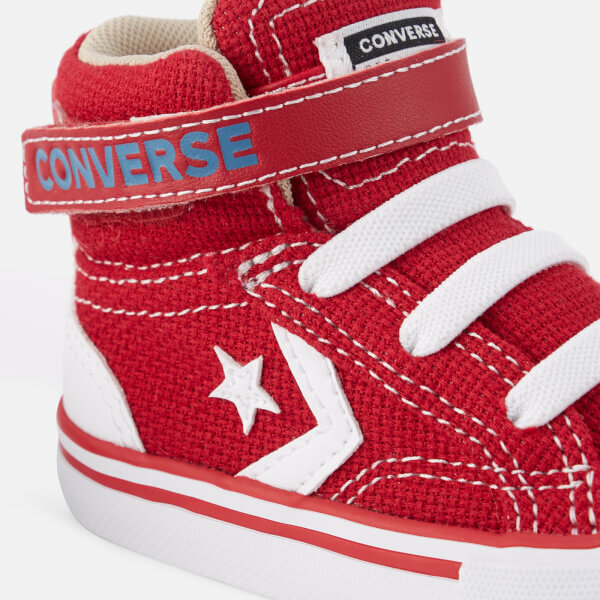 The Star and Chevron logo is embroidered on the sides and Converse All Star branding can be found on the tongue and heel license plate. 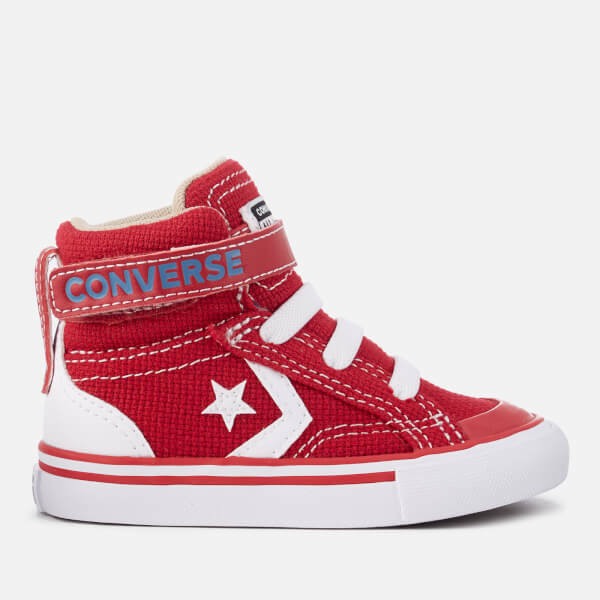 Upper: Cotton Canvas. Lining: Textile. Sole: Rubber.